GO FEET! Radio brings you music from or influenced by early Jamaica - Ska, Rocksteady, Reggae and Dub, plus more. GO FEET! Radio will also include roots music and beyond from NZ, and modern Boss music to skank rattle and roll to. When the time is right and the moon is full your Boss selector will spin the odd funk, boogaloo and soul track too. This week: Boss Reggae... 50th anniversary of the Spirit Of ‘69. Go FEET! Radio - Ska, Rocksteady, Reggae and Dub, plus more. This week: Go FEET! 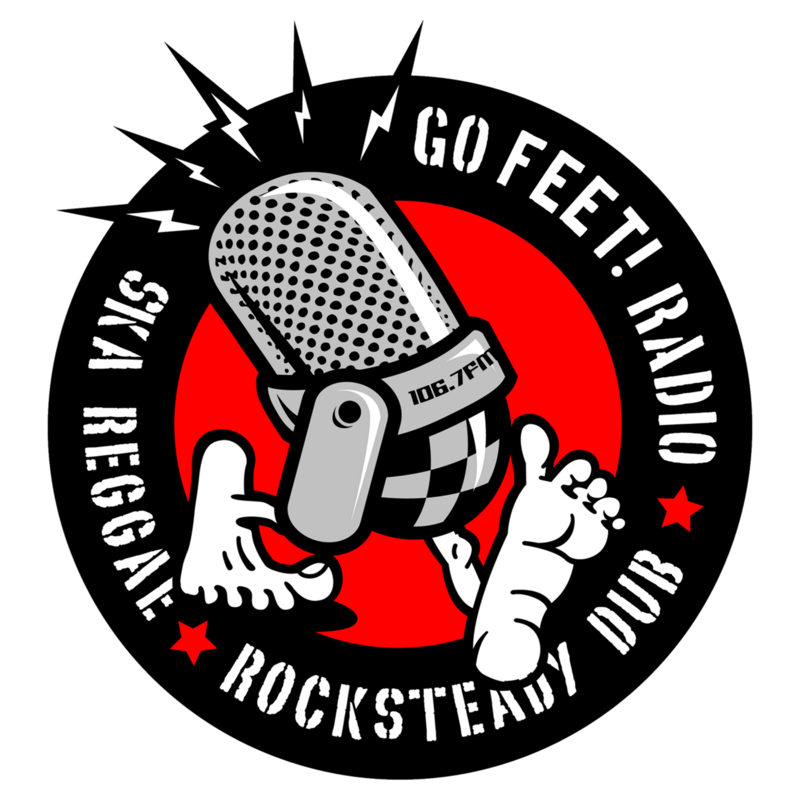 Radio - Ska, Rocksteady, Reggae and Dub, plus more. This week: Tribute to Roger Charlery (aka Ranking Roger of The Beat) 21 February 1963 — 26 March 2019. Go FEET! Radio - Ska, Rocksteady, Reggae and Dub, plus more. This week: The Scofflaws, LIVE, Vol.1, New York based 90's third wave ska. Go FEET! Radio - Ska, Rocksteady, Reggae and Dub, plus more. This weeK Michael Jackson leaves an impression. GO FEET! Radio - Ska, Rocksteady, Reggae and Dub, plus more. GO FEET! Radio - Ska, Rocksteady, Reggae, and Dub, plus more. GO FEET! Radio - Ska, Rocksteady, Reggae, and Dub, plus more. Bands featuring at the Reggae Ska Sun Festival in Southwest France, 2018. GO FEET! Radio - Ska, Rocksteady, Reggae, and Dub, plus more. Tonight: Songs originally done by, or covered by, the amazing Aretha Franklin. Featuring this week: The Selectors new album release 'Live at the Roundhouse'.